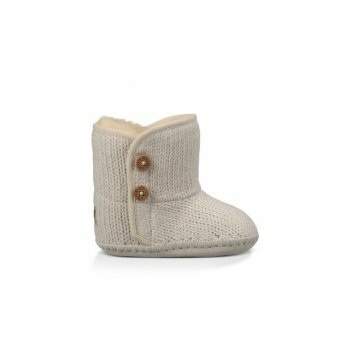 Keep your little one warm and snug with the UGG Purl boots. These gorgeous soft knit booties are lined with a plush natural wool. They feature an adjustable hook and loop closure, wooden logo buttons and a molded rubber outsole.